-Therapeutic Riding is a physical therapy, it’s special education, and it’s adapted recreation. Our Therapeutic Riding instructor began back in 1990 with CanTRA and left CanTRA in 2012 to be able to offer Horse Boy Program too. -Equipment, lesson content helpers, horse activities are all chosen depending on the individual rider. 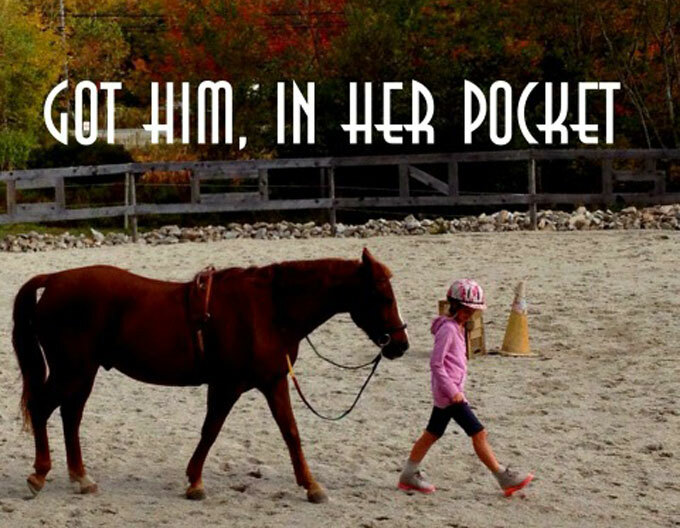 -Activities take place in the stable, on the trails, in the riding ring, in the Horse Boy Paddock, on the rails to trails network and around Blockhouse. -Lessons are by appointment. Registration papers including a Doctor’s Referral and rider insurance are mandatory. -Volunteers are especially trained and are enthusiastic coaches and become special friends. Therapeutic riding reduces spasms, atrophy, incontinence and high blood pressure. The activities increase balance, mobility, body awareness, circulation, strength, co-ordination, muscle tone and endurance. In education therapeutic riding improves communication, behavior, task management, sequential and cognitive thinking. Activities with the volunteers facilitates social contact, builds confidence, develops self esteem and increases social interaction for the children. -Hinchinbrook Farm special annual events include Open Stable, Autism Awareness Day, Easter eggs and horses, Annual Family Picnic at the Farm, Halloween and Horses, and Blockhouse Pony Club. Please contact the farm to learn more or donate or volunteer.